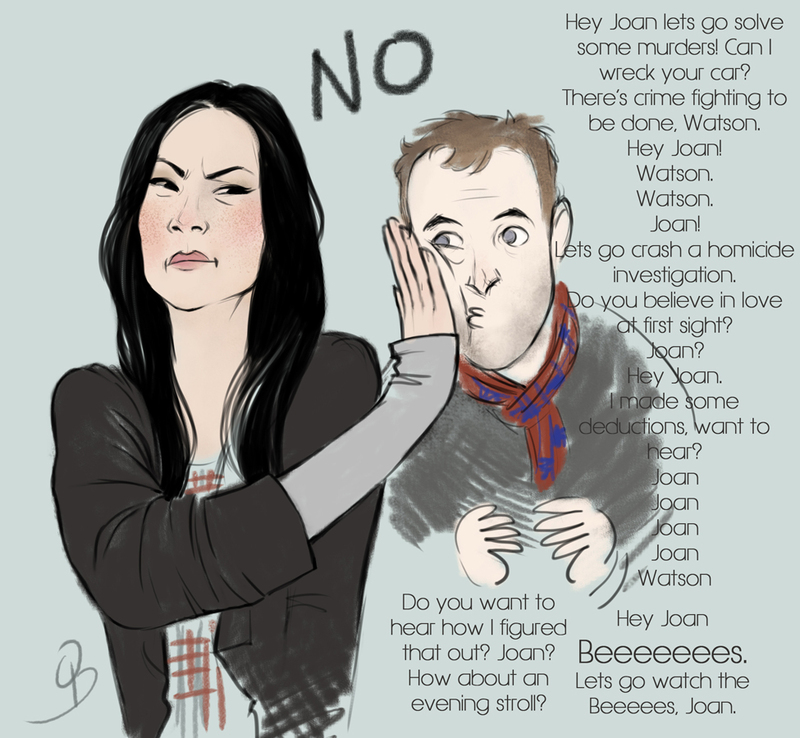 funny Joan & Sherlock drawing. beautiful and funny :))). HD Wallpaper and background images in the Sherlock & Joan club tagged: elementary sherlock holmes joan watson drawing fan art. This Sherlock & Joan fan art contains anime, fumetti, manga, and cartoni animati. There might also be ritratto, headshot, primo piano, and closeup. super funny....glad you like it !